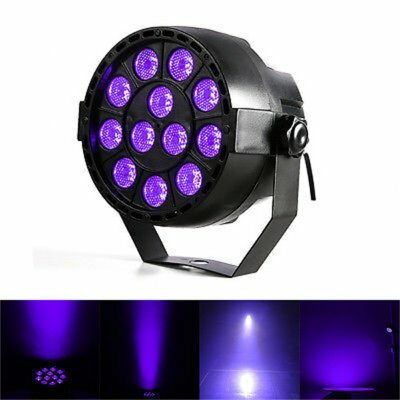 Successfully Added 36W 12LED Party Light Portable Stage Lamp Disco Light UV Plug-Purple to your Shopping Cart. Designed with mini and exquisite appearance, this led par light is convenient to carry. Adopt latest LED technology and built in with 12 3W LED beads with high brightness, low power consumption and bright color. This light supports multiple Voice-activated / Auto / DMX / Master-slave modes. Helps to create atmosphere for romantic night with fog. A perfect choice for Party, Wedding, Stage Floor, Bar, Night Club, Disco, DJ event, Live Show. Please give us feedback first when you have any problem, we will give you the best service and solve the problem ASAP. Thank you so much.